Dr. Sasson is your dentist in Boston providing Invisalign, clear braces for adults and older teens. Are you considering the subtle orthodontic treatment? If so, we’ve put together an FAQ to answer the questions we’re sure you’re asking. Like how does Invisalign work? And how long do you have to wear the Invisalign aligners? Is Invisalign painful? Dr. Sasson answers these and other questions below. Finding the right medical professional isn’t easy, especially with so many options here in our community. 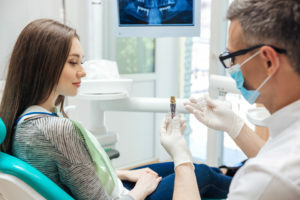 When it comes to choosing the right dentist for you and your loved ones, you may feel overwhelmed — but you shouldn’t be! We’ve got four simple steps for finding the best dentist in Brookline, MA. Keep reading to find out what they are, then begin your search today! When you walk around and see kids or teens wearing braces, it’s something that’s normal. Young mouths that are misaligned need proper straightening treatment so they can enjoy their youth while having a smile that’s straight and beautiful. Unfortunately for some adults, they weren’t able to receive orthodontic treatment, therefore suffering with misaligned teeth or an odd bite. We’re here to let you know that there are straightening options for adults. Our office in Brookline, MA specializes in outfitting adults with teeth-straightening treatment that delivers results fast. This is adult orthodontics Brookline residents can enjoy. Unlike kids, adults don’t have all the time in the world for some things. We don’t expect any adult patient to go along with straightening treatment that lasts longer than a year. Our treatment options can have you in and out of orthodontic treatment in roughly 8-12 months. You can get back to enjoying life with a beautifully straight smile that everyone will love. Friends and family won’t believe their eyes when they see the results. If you’re ready to do something about your misaligned teeth or improper bite, take advantage of our adult orthodontic services. Dr. Sasson is the orthodontist Brookline and other residents can trust.